Imbolc, also called the Feast of Brighid, is a ritual and a festival that celebrates the coming of spring. Held at the half-way point of winter, there is no specific date for Imbolc but it is usually celebrated sometime between January 29th and February 3rd. Many practitioners and covens celebrate on February 1, which is halfway between the Winter Solstice and the Spring Solstice, but some Wiccans wait for a sign, such as the sprouting of crocus to tell them when to celebrate Imbolc. The Feast of Brighid has made it into secular culture and is celebrated as Groundhog Day. It is one of the four Gaelic seasonal festivals—along with Beltane, Lughnasadh and Samhain. This is a festival that heralds the beginning of spring and the Goddess as Maiden. During this time, the Goddess prepares for renewal. 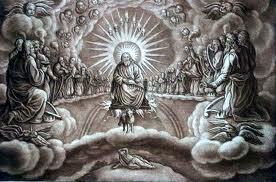 It is during this time that seeds and agricultural equipment are blessed in preparation for planting and livestock have had or are soon to have their first offspring. Think of Imbolc as near-spring or last-winter, meaning the dark and the cold are receding, and the earth is stirring from a long sleep. This is the time that the Goddess prepares for the growing season. One popular way Wiccans celebrate Imbolc as a group is by standing in a dark room, or outside at night if it is dark enough. There is one lit candle in the room and everyone holds an unlit candle. One after the other, each person present with light the candle they are holding from the flame of the lit candle until the group is bathed in light and warmth. Prayers are then offered for a kind and prosperous spring and that the reserves of money and provisions that supported the group through winter will last until the first spring crops. After the ritual, there is a big feast, traditionally put together by determining which provisions will not last until the first crop and which things you have an excess of. These provisions are shared with everyone present during the Imbolc ritual as well as with people in the community. Wicca is a religion where the past and the present collide in a harmonious manner. It’s a modern religion that’s based on ancient witchcraft and pre-Christian traditions. Many of these traditions originated in Scotland, Wales, and Ireland. Witchcraft is part of Wicca, but in a positive way, as that of using its powers to heal, restore, and be in communion with the world around. Wicca is known to be older than Christianity, as witchcraft. It predates Christianity by 28,000 years and is still part of world history. Many of the holiday festivities that the world celebrates are based on Wiccan, and in turn pagan, traditions. One of those celebrations is the Wiccan midwinter/yule. The date varies, it can be from December 20 to the 23rd. This celebration marks the return of the sun and the longevity of days. It’s the rebirth of the sun. The Sun King, the Oak King, and the Giver of Life are worshiped during this celebration. It enables Wiccans to be in tune with nature and all that nature represents. Evergreen plants decorate the homes of Wiccans, giving color and style; a pagan practice enabling Wiccans to celebrate midwinter Yule. 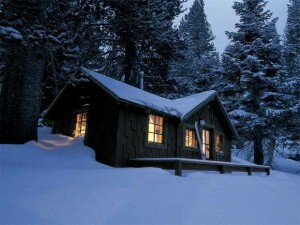 It was believed that the evergreen plants and boughs were a haven for good spirits during the winter season. The Christmas tree, adopted from pagan traditions, is a Christian symbol of Christmas. This is one way where Wiccan influences Christian tradition today. 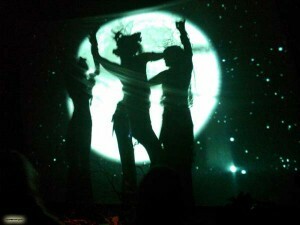 The celebration of the Wiccan midwinter/Yule is as much of a rebirt. Just as the apples and oranges represent the sun, and the green boughs represent immortality. The highlight is the yule wooden log. According to tradition, the log must have been harvested or given as a present. It’s placed in the fireplace or another place where there’s an organized burning, then decorated with some green leaves, doused with either ale or cider (both are excellent fire conductors). Then it’s set on fire with parts of the log from the year before. This is an out-with-the-old-in-with-the-new celebration. 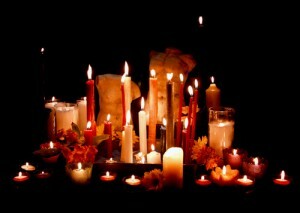 A rebirth from an old life into a new, rejuvenated life, making this the most important of all Wiccan celebrations. Have you ever seen two full moons in one? This is an extremely rare. 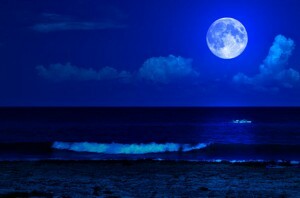 For the followers of the Wiccan religion the rare phenomenon of having two full moons appear twice withing one month of a particular year is called a ‘Blue Moon’. The phrase ‘once in a blue moon’ comes from this rare occurrence. This moon is so powerful and can help you accomplish a great task. You may be interested in reading my ‘Once in a Blue Moon Wish Spell’.It is our belief that these moons can be used as a very powerful tool for the manipulation of energy for manifesting your desires. This is a great moon, primarily used for setting goals for manifesting your future desires and quality of life. The moons aren’t static, meaning you have plenty of time to accomplish your goals before the next occurrence of the Blue Moon. The last blue moon was in 2012. I personal made goals for my finances and health. I made my own ritual on the night of the blue moon. I cleanse myself with an unpublished personal purification spell and made a list of the things I wanted to accomplish. Because my Blue Moon spell is a personal one, feel free to use some of the information above to create a new personalize ritual. Some people ask me how I keep track of all the important dates and moons. I have a few books of shadows. One of my books is dedicated solely to the calendar of wiccan events and dates. I will look in my book in the beginning of each month and transfer the dates into my personal date book. This gives me time to look at the moon and moon phases of the month and decide what rituals or spells I would like to do and prepare for. Let us know in the comments how you keep track of the personal dates of the esbats, sabbaths and other wiccan calendar. Before midnight on Samhain – November Eve, the most magickal night of the year, prepare some feast food such as bread made of pumpkin, corn or other harvest crops. Brew some mugwort tea. Now cast a circle: Place small rocks or stones around the circle area and light the four directions of East, West, North and South with white pillar candles. Walk slowly round the circle with a lit white candle to cleanse its energy. Then walk widdershins (counter-clockwise) and whisk negative energies out of the circle with your besom or a branch (one that has fallen naturally from a nearby tree that still has live shoots on it). Walk deosil (clockwise), waving burning sage to reinforce the Fire and Air energies. Walk to the East of the circle and say aloud: Celebrate Samhain, Bright Wind and Breeze! Walk to the North of the circle and say aloud: Celebrate Samhain, Earth our Mother! Walk to the South of the circle and say aloud: Celebrate Samhain, Burning Flame and Smoke! Walk to the West of the circle and say aloud: Celebrate Samhain, Pure and Pouring Waters! Welcome, Elements, to my Circle of Light, on this most blessed November Eve. Raise the bread and thank Great Mother Earth for Her gifts. Then eat a small piece of the bread and sip the mugwort tea. Place a blue candle in the center of the circle. Sprinkle some dried mugwort herb into the light of a blue candle, then place a magickal mirror behind the candle so that its light is reflected toward you. Look deeply into the mirror and concentrate on the reflected light of the candle. Ask the Future to speak to you with images in your mind of what the highest answer, the highest outcome is for the issue most troubling or puzzling you or someone you love. Take as long as you need, and continue to ask until your question is answered. I ask thee for Wisdom, my Future to Be. I ask thee for Insight, and Clarity. Into my mind let the answers now flow. Away from my mind, all confusion must go. Clear your mind of all thoughts and distractions as you stare at the light in the mirror. Let the answers come in its glow. Be willing to return to this spell and ritual as often as it takes to receive the increased psychic insight you are seeking.